In a ceremony on Ingolstadt's main square, MAN Truck & Bus Germany handed over three MAN Lion’s City Hybrid buses for regular urban service to Stadtbus Ingolstadt GmbH. On their planned routes in Ingolstadt, which include amongst others the Audi plant, the hybrid buses will be able to utilise their specific advantages to great effect: less noise when operating electrically and significantly lower fuel consumption are a boon to passengers, passers-by and the environment. The MAN Lion's City Hybrid has proven that it is considerably more efficient in heavy urban traffic than the most modern conventional diesel-powered city bus. In the presence of the Parliamentary State Secretary of the Federal Ministry for Environment, Nature Conservation and Nuclear Safety, Ursula Heinen-Esser MP, Josef Lechner, manager of the MAN Truck & Bus Center Munich presented the keys to the new vehicles to the Lord Mayor of Ingolstadt, Dr Alfred Lehmann and the CEO of INVG, Dr Robert Frank. On occasion of the handover Lechner had this to say: "We are proud that the city of Ingolstadt has confidence in the innovative technology of our MAN Lion's City Hybrid buses." 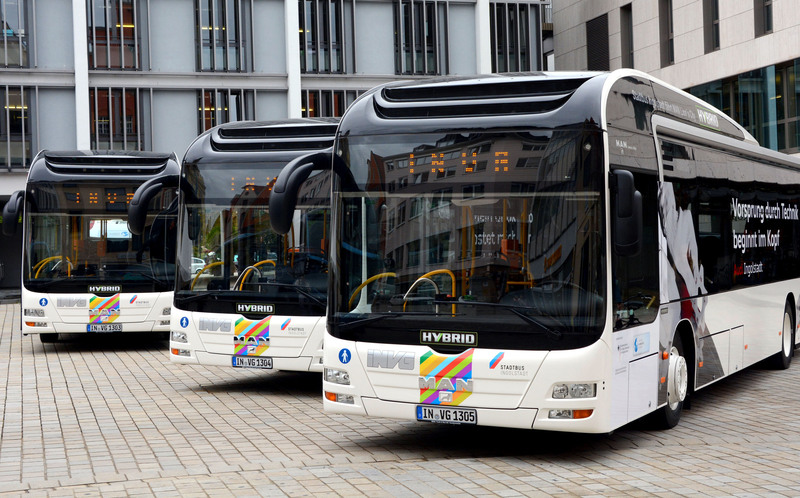 Following a decision by its Supervisory Board, Stadtbus Ingolstadt initiated a Europe-wide tendering and award procedure for hybrid buses, which culminated in MAN being awarded the contract. Lord Mayor Dr Alfred Lehmann sees the public local transport strategy followed by the city of Ingolstadt and the INVG as fully validated: "We are investing in a sustainable, successful PLT system. The development of the local transport hub at Ingolstadt North (Nordbahnhof), new routes with improved services, modernisation of the bus fleets and now hybrid buses for Ingolstadt are exemplary." The Federal Ministry for Environment subsidised the acquisition with an amount of almost €200,000. 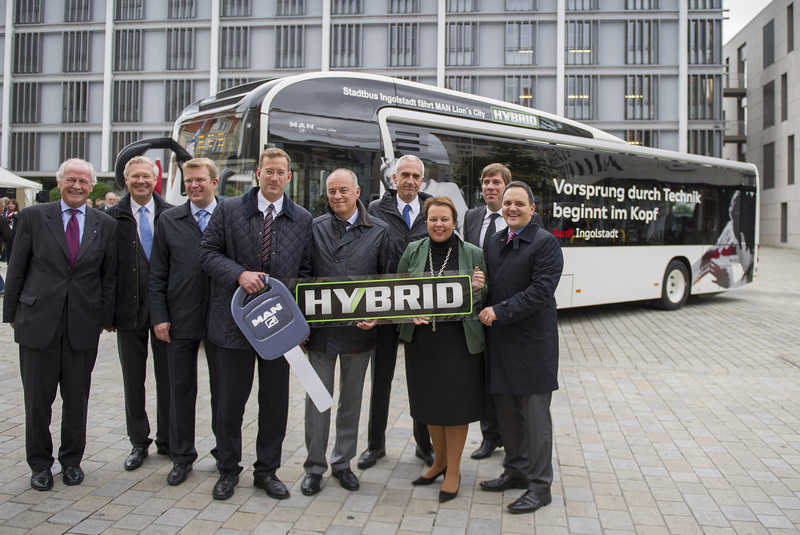 "In acquiring hybrid buses, Ingolstadt is going in the right direction," said Parliamentary State Secretary Ursula Heinen-Esser at the ceremonial handover. "Stadtbus Ingolstadt GmbH not only benefits from an environmental point of view but at the same time also makes travelling by bus a more attractive proposition overall." After years of research and development work followed by intensive testing in laboratories and on the road, the MAN Lion's City Hybrid has been in series production since 2011. In the interim it has become a familiar part of the traffic scene in Germany and in Europe's major cities.